There are as many photo opportunities looking up from within a narrow canyon as there are in any other direction. This entry was posted on 10/09/2012. 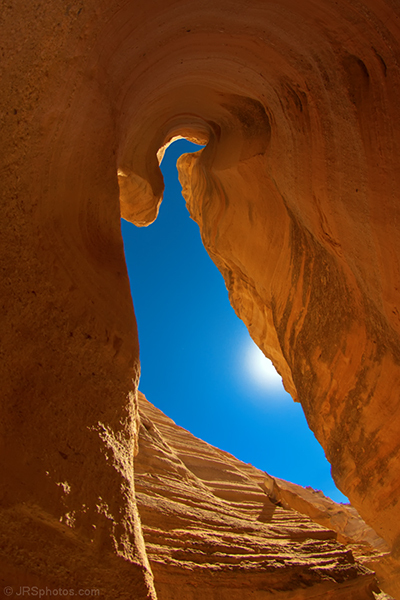 It was filed under Landscape, My guided photo tour, Nature and was tagged with rock, sky, slot canyon, up. Oh, Jim, I love this!!!!! Brilliant contrasting colors and just enough sun peeking through! !